Click to view Engagement Rings w/360° view! 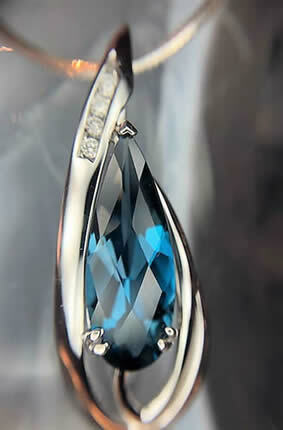 T. Simon delivers the latest designs and gemstones. We customize your experience by offering designer lines that are exclusive only to T. Simon or one of a kind pieces crafted by the owner herself! And at T. Simon, we cater to brides and grooms, helping them make the selection of a lifetime. Our variety of engagement rings, wedding bands and anniversary bands is larger than any other jeweler in the area. We also offer slides in an array of colors and hundreds of gemstone rings in every price range. Our personalized service and custom work is what keeps our loyal clientele coming back again and again. In-store goldsmith work includes: repairs, remounts and custom designs. 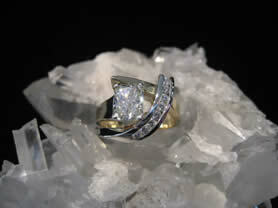 We offer excellent in store service and pride ourselves on our on-staff diamond setter and goldsmith. Stop in and speak to one of our friendly and knowledgeable associates for your jewelry repair and service needs. At T. Simon, customer service is not just a courtesy, it is a commitment.